View the Parade down Broad Street and gather for Special events and awards at Legion Field after the end of the Parade. 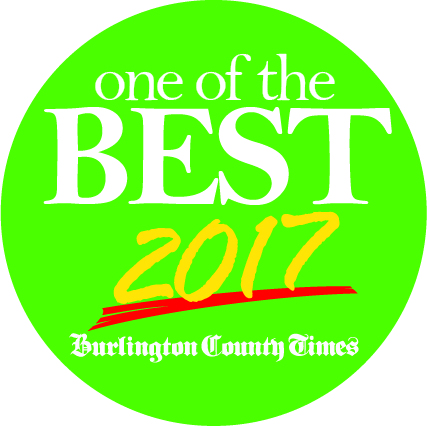 Voted One of the Best by Burlington County Times for 2017! THANKS TO ALL WHO SUPPORTED AND HELPED WITH THE 2018 PARADE. The parade is financially funded through our sponsors and fundraisers. Please consider supporting the 2019 Palmyra Halloween Parade. The 2017 Halloween Parade was a great success! A special thanks for our sponsors that helped make this parade possible especially Stone Gallery Studios for their great parade pictures. Enjoy a Fang-tastic night in Palmyra! Annual House Decorating Contest was a great success! The town was well decorated!
. 2017 Participants and Winners. See NEW information about this year's contest. NEW EVENTS: COSTUME SWAP AND NEW AND IMPROVED TRUNK OR TREAT. Go to 2018 EVENTS TAB for more information. The Palmyra Halloween Parade Committee hopes you enjoyed the 2018 parade. The committee is planning this year's parade. Volunteers are always welcomed. Check out the meeting schedule on the Contact Us page. SPONSORS & PATRONS! Thank you to all of our wonderful sponsors who helped make last year's parade possible. You will be hearing from us shortly!! :) The halloween parade committee needs funds to make this event possible for the community. We are introducing a Patron Page for contributing residents to be recognized. Please consider sending a donation to keep the parade going and growing for years to come! You can donate on our Sponsor page or mail a check to: Palmyra Halloween Parade Inc, PO Box 711, Palmyra, NJ 08065.